Ayurveda has been part and parcel of Vedic Astrology from ancient times. In fact, Ayurveda and Astrology are not only inter-related, but have developed over the years as two integral parts of Vedic Astrology, becoming complementary to each other. The body of knowledge specific to Ayurveda forming part of Vedic Astrology has come to be described as Medical Astrology. 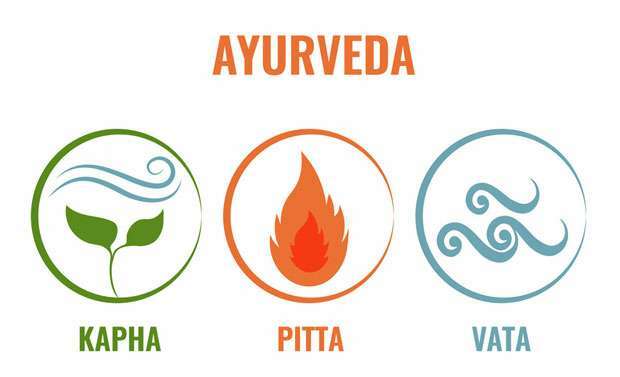 Ayurveda teaches that one could keep disease at bay and enjoy sound health by maintaining the three body humours or Doshas Kapha, Vata and Pitta (phlegm, wind and heat) in perfect harmony. Meanwhile, Astrology teaches how planets while being placed in certain positions could cause these Doshas to occur in excessive proportions leading to an imbalance of Doshas and disease as a result. Understanding one’s body type by oneself whether it is Kapha, Vata or Pitta would help one to take necessary precautions through dietary habits as well as personal behavior to keep his body Doshas in harmony to enjoy good health and maintain harmonious relations with others. For example, Pitta-body type would know that he should avoid taking heaty foods. A Pitta-type body person is usually hot-tempered, and he would know that he should hold his anger in check. The three Dosha, Kapha (Phlegm), Vata (Wind) and Pitta (Heat) correspond to the main elements of nature earth and water, air and fire and the 12 signs of the Zodiac are divided based on these basic elements. Thus, zodiacal signs Gemini, Libra and Aquarius represent air; Taurus, Virgo and Capricorn earth, Aries, Leo and Sagittarius fire and Cancer, Scorpio and Pisces water. In ancient times when a person calls on an Ayurvedic physician for consultation about an ailment, the physician would first determine the Dosha affecting the patient and link the ailment to the Dosha thus identified. He would, thereafter, peruse the horoscope of the patient to ascertain the planet responsible for the Dosha and would proceed to prescribe a treatment after making a diagnosis by taking into consideration the obvious disease which could result from the Dosha caused by the planet and the part or the organ of the affected by the disease. For example, if the Moon which represents the mind is afflicted in the horoscope, it could lead to diseases such as insomnia, hallucinations and fear of water and animals. In such a case, while the Western medical practitioner may treat the disease with medicines, an Ayurvedic physician would treat it with a natural therapy. A total Lunar eclipse will occur in the 2nd quarter of Pusha constellation in the Zodiacal sign of Cancer (Kataka) beginning 10.11 hours (local time) on Monday January 21, 2019. The eclipse will not be visible in Sri Lanka as the eclipse will occur under the horizon. The greatest eclipse will occur at 10.42 hours. It will be visible in North and South Americas, parts of Western Europe and North-West Africa which will happen to be in the night side of the Earth.